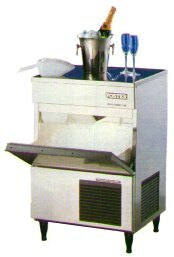 Automatic ice machines for cubes or crushed ice. Capacities from 10kg/24hr to 280kg/24hr. Units with or without storage bins.